HSE recommends that relevant businesses have an “expert” pallet racking inspection at least once every 12 months. They state that the person tasked with carrying out the inspection should be “technically competent” and cite SEMA approved inspectors as an example of this kind of competence. They go on to state that businesses should conduct internal pallet racking inspections using a traffic light system: red is an immediate emergency, amber is a situation that requires attention as soon as possible, and green means that the system only requires regular attention. This traffic light racking inspection system is designed so that all staff members have the same idea about what constitutes safe racking and what does not. Of course, the best way to ensure that your staff are up for the job of using this system to perform racking inspections is to book a place on one our rack inspection training courses and/or use our racking inspection checklist. The rack inspection training course is delivered by a SEMA approved racking inspector and the checklist has been designed by a SEMA approved rack inspector. Both are specifically designed to be an introduction to racking inspections for people who want to abide by HSE regulation with regular staff-led racking inspections alongside side regular visits from an expert, a SEMA approved racking inspector. At June 2015’s SEMA Seminar, Matt Grierson confirmed that HSE agreed to legally enforce SEMA’s ‘Guide to Method Statements’ if SEMA could turn it into a formal Code of Practice. Whether or not this actually ends up happening is still a big maybe. Grierson admitted that getting the relevant experts needed to write the code has proven tricky. Still, the fact that HSE respects SEMA enough to turn something they have written into law is evidence of their respect for the racking inspection industry. The expert judgement of SEMA approved inspectors has not gone unnoticed by HSE, and it is this expectation that keeps the quality of our SEMA approved racking inspections and our racking inspection training so high. September 2015’s SEMA Safety Conference was a big day for the racking inspection industry, and so it should come as no surprise that HSE were well represented at the event. Of particular note was Rob Shaw, who delivered an in-depth talk about how slips, trips, and falls can be reduced in the warehouse, something which he has written a lot about for HSE and HSL. Shaw’s expertise was well received, and his dedication to reducing accidents in warehouses echoed the general theme of the event. SEMA approved inspectors are proud of what they know, but they also recognise that they are a cog in a much larger machine. Warehouse safety is a large industry made of many different people in many different fields trying to bend the arc of history towards safety. For that to happen, the racking inspection industry needs the support, knowledge, and respect of HSE. We are happy to say that we have all three of those things, and we give those things back to HSE in return. 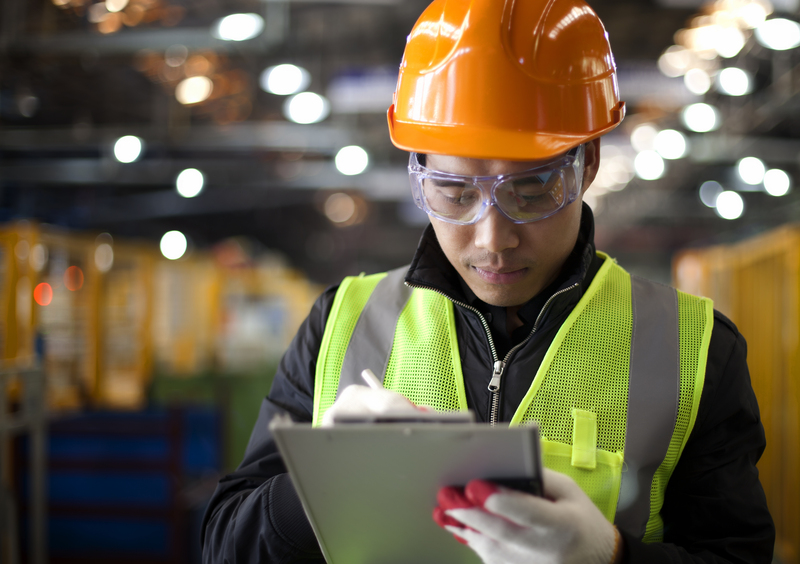 The relationship between HSE and racking inspections will mean only good things for the future of racking inspections and the future of warehouse safety. Contact Storage Equipment Experts for the “expert” and “technically competent” SEMA approved racking inspection and racking inspection training that HSE recommend.